The end is nearly here and tonight one couple will be sent packing from the villa ahead of the final. 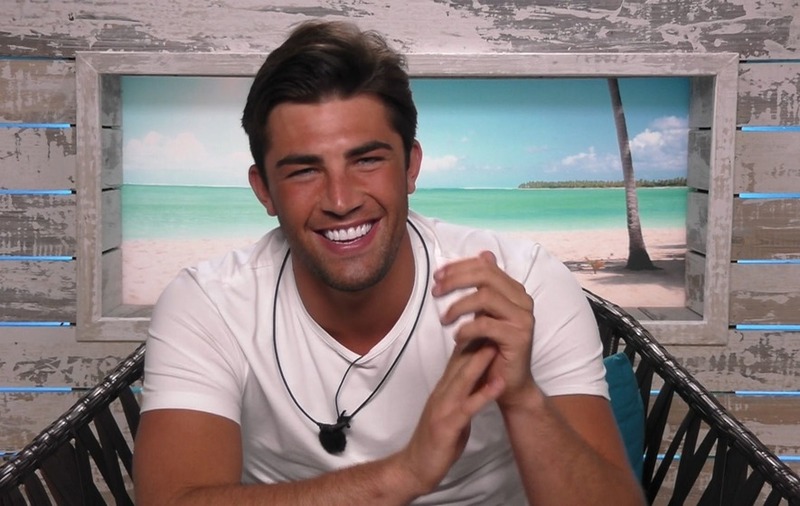 Danny Dyer has labelled his daughter’s Love Island boyfriend Jack Fincham a “proper geezer” as he gives the relationship his stamp of approval. The penultimate episode of the ITV2 show, which airs on Sunday night, sees the friends and families of the contestants entering the villa to meet the couples face to face. EastEnders’ Dyer entering the villa had been a much-anticipated event but the actor and his wife, Joanne Mas, will speak to daughter Dani via a video link as they are currently in the US. He also tells the stationery salesman: “Do you know what Jack, listen. Proper geezer, gotta say. I’ll tell you what I love about you, I love the fact you got a little Derby. Dani’s nan and grandad visit her in person and the video call with her parents is a surprise. She and Jack have been the favourites to win the show and have been coupled-up since the very beginning. Before meeting Jack, in a one-on-one conversation with her parents, Dyer apologises to Dani for having had reservations about her doing the show. The actor, best known for playing hard man Mick Carter on the soap, also protests that he “ain’t been crying every night. I haven’t cried that much, honestly”. Alexandra Cane’s mum Janice chastises Alex George for his attitude towards her daughter following the last recoupling. Doctor Alex had decided to recouple with Alexandra after expressing an interest in someone else. Prior to that, Dr Alex’s mum, Jane, praises him for his decision to end it with Alexandra after saying he did not have romantic feelings toward her. Elsewhere, things take an awkward turn as Laura Anderson and Paul Knops’ family’s meet. Confusion between Paul and his sister Sophie over a wedding venue comment has Laura’s sister Danielle telling Paul to: “Calm down!”. The show’s host Caroline Flack returns to deliver the news about which couple will be dumped, after three couples were put up for the public vote by their fellow contestants on Friday night. Alex and Alexandra, Kaz and Josh and Laura and Paul are the three couples at risk. The winner of the £50,000 prize will be announced during Monday night’s final episode.